My name is Leslie and I'm a late adopter. There, I said it. 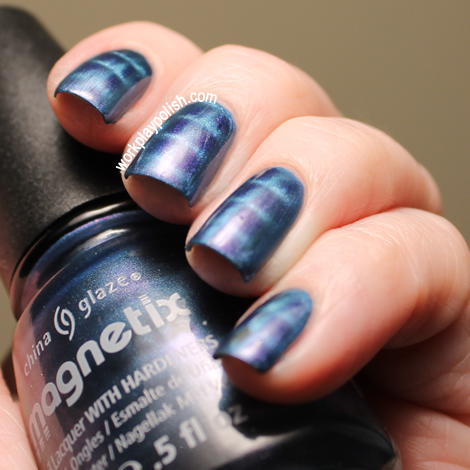 I could have introduced this post and acted like I was all up in the magnetic polish scene...but alas, I will admit this is the first magnetic polish I've ever tried. What kind of nail blogger am I? 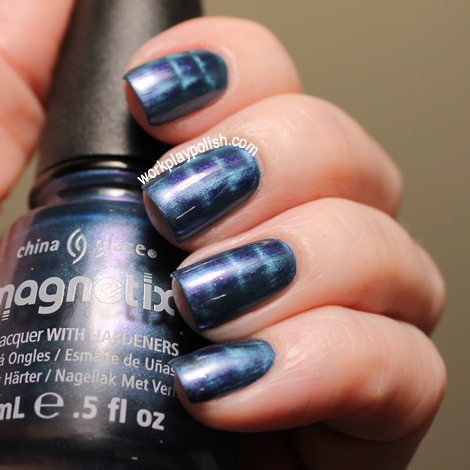 Finally, at the insistence of my daughter, I broke down and bought Sparks Will Fly, a medium blue from the China Glaze Magnetix II Collection released this Fall. So what am I missing here? 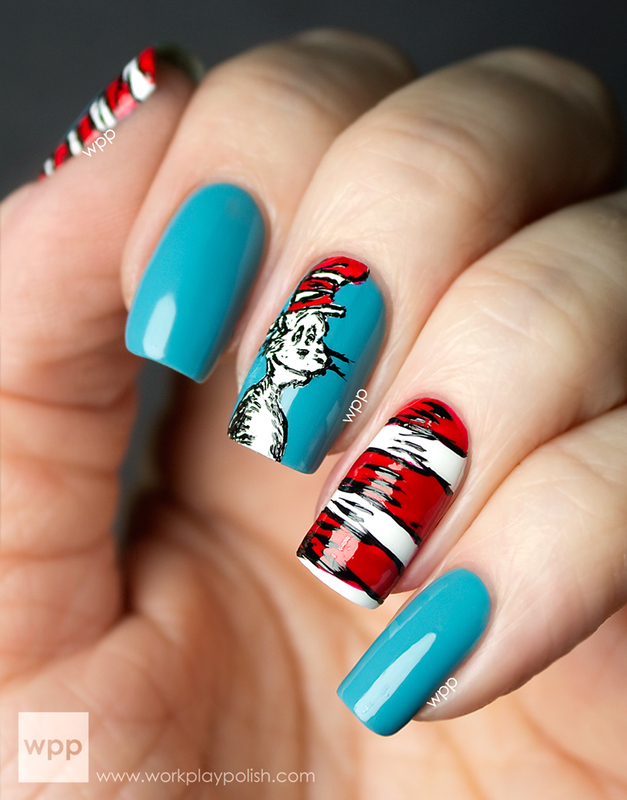 Why can't all polish work like this? Is there some awful ionic/magnetic chain reaction that will cause this formula to chip in a day? 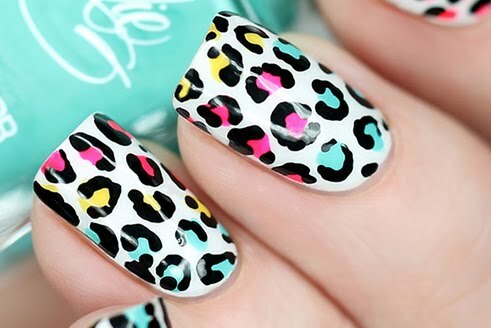 Because if not...stick them ions in every single polish! Forget the magnet. Now the magnet part - let's just say I need some practice. I used the checked design. It looks like denim or tie-dyed fabric. I actually really like it. 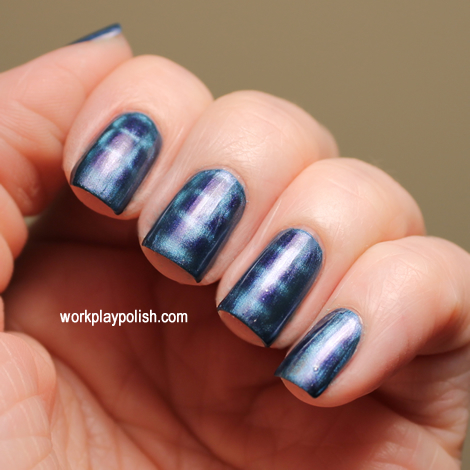 If you want to see how the magnet designs are SUPPOSED to work...see the PolishAholic's swatches here. So now, I shall be tempted by every magnetic polish on the market. And the second I buy them all - it will be painfully "so last year". :) What's your experience? Are all metallic concoctions this dreamy? Or am I just desperate for excitement?